Coinone was founded in 2014 by CEO Chan Myung Hun after he set out to create a South Korean cryptocurrency exchange that was more user-friendly than the existing exchanges of the time. When Coinone launched, it was operating as a Bitcoin-only exchange. Since then, they have added additional currencies including BCH, ETH, ETC, XRP, QTUM, LTC and IOTA. Coinone is currently the second-largest South Korean-based cryptocurrency exchange, behind only Bithumb. At the time of writing, Coinone held the ninth-largest cryptocurrency trading volume globally. 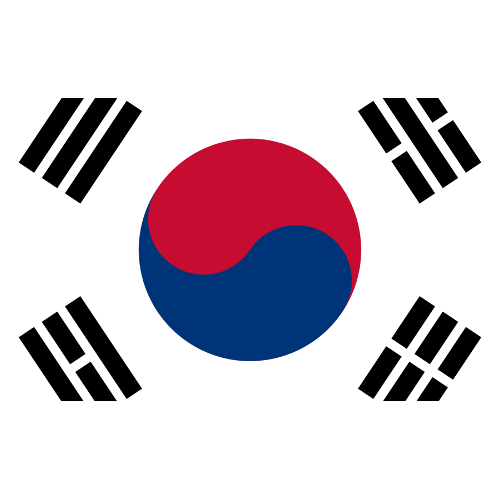 Currently, KRW (South Korean Won) is the only fiat currency that can be deposited and traded for cryptocurrencies on the exchange. Ethereum, Ethereum Classic, Bitcoin, Bitcoin Cash, Ripple, Qtum and Litecoin are the only cryptocurrencies that are offered by Coinone. Each of them can be traded with KRW; they cannot, however, be traded against one another. Coinone’s commission fees are very low (0.1%) for a fiat cryptocurrency exchange. Additionally, Coinone can be used to exchange various currencies to KRW using Bitcoin or another cryptocurrency as the “middleman”–users can buy Bitcoin or another crypto with USD, send it to Coinone, and then sell it for KRW. In this way, Coinone can be used as a medium to send and receive remittances globally. There is currently a withdrawal limit on accounts of 100 million KRW (roughly US$90,000), and a transactional limit of 20 million KRW (roughly US$17,700). 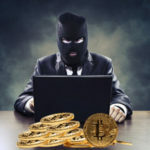 At the time of writing, Coinone’s 24-hour transactional volume was valued at approximately US$134,000,000 (34,370 BTC). Most of that transactional volume was comprised of Qtum trades; Bitcoin’s transactional was the fourth-largest on the exchange. To register as a user with the ability to trade on Coinone, you must verify your identity on a few different levels–email, phone, and photo ID are required. There is an additional process that must be undertaken to verify your bank account. You can only register as a fully-functioning Coinone user if you are a South Korean citizen (living in South Korea or abroad) or if you are a foreign national with legal residence in South Korea. Both of these parties must submit a photo of themselves holding their South Korean ID card with an attached memo that says the date and purpose of the identification; users living abroad must provide proof of their international residence. Corporations who wish to register as institutional users on Coinone must provide their business name and basic contact information (phone number, email address, website, etc.) along with a statement of the purpose for trading cryptocurrencies. In addition, corporations must upload copies of the Business and Corporate registration documents, a list of shareholders, a bank statement, photos of the representative and practitioner (the person or people who will be operating the account and representing the business), and a description of the business. Coinone’s support team can be reached by email anytime or phone from 10AM-7PM Korean Standard Time (cs@coinone.co.kr and +82 1670 9756, respectively). Coinone has a specific support forum for resolving deposits that are not correctly reflected in a user’s balance. To submit a proof of deposit, users must submit a photo of their ID, a photo of themselves holding the ID card, and a photograph of the user’s transactional history from the source of the deposit. Coinone recently announced the creation of Coinone Blocks, a brick-and-mortar cryptocurrency exchange that will offer users additional crypto-related services. According to Coinone CEO Chan Myung Hun, the exchange plans to continually expand its use as a payment service within the next several years. Coinone Blocks is the exchange’s most recently-announced venture. The new brick-and-mortar cryptocurrency exchange service will provide crypto-ATMs. Coinone Blocks will support at least seven different cryptocurrencies–Ethereum, Bitcoin, Bitcoin Cash, Qtum, Litecoin and Ripple for sure; the others have not yet been announced, but it is likely that they will be the same cryptos offered on Coinone’s online exchange. In addition to the services offered on Coinone’s online exchange, Coinone Blocks will provide in-person consultation to its customers. Coinone Blocks will also sell USB-based hardware wallets. If you are a crypto trader based in South Korea, it seems that Coinone is working toward providing good educational and technical support to their customers. However, the language barrier on Coinone is rather thick; many of the pages on Coinone are available only in the Korean language. Additionally, the only fiat currency that can be deposited onto the exchange is KRW. 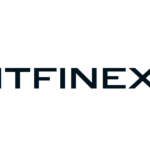 This may incur an added layer of difficult for non-South Korean users who must first convert their non-KRW fiat into either KRW or one of Coinone’s supported cryptocurrencies. 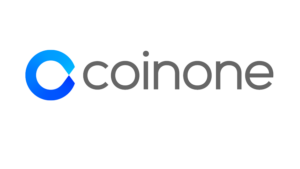 However, if you are a user based outside of South Korea who wishes to send remittances to South Korea, Coinone may be a fantastic option for you. Coinone has the potential to become a much more widely-used exchanged. The cryptocurrency market in South Korea is ever-expanding, and Coinone is well-positioned to continue a mutually beneficial relationship with the South Korean cryptocurrency market. The fact that they are continually adding more reputable cryptocurrencies and that they are providing innovative services (ie Coinone Blocks) is a good sign for Coinone’s future.